THIS BOOK IS ONLY AVAILABLE ON AMAZON.COM. "This book describes an insider's view into the world of medicine as written through the eyes of a medical doctor-in-training. This book reveals many hidden dangers of general and specialty fields of medicine. Also included is a detailed description of the dangers of cancer chemotherapy. Through this story, concepts of natural healing are introduced such as the importance of finding the root cause of a disease, the role that toxins play in ill health, and the role that herbal detoxification plays in recovering health. 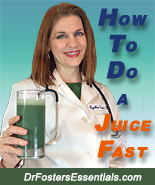 Written by Cynthia Foster, MD. Endorsed by Louise Hay, John Robbins and Howard Lyman. Autographed copies available only from this website." THIS BOOK IS ONLY AVAILABLE ON AMAZON.COM. 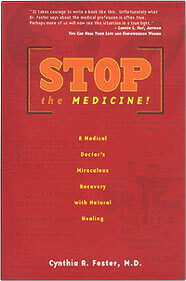 Get your copy here: Stop the medicine on Amazon.com. One of our readers went through a dramatic healing with herbs and diet change and was deeply touched by what he read in Stop the Medicine. 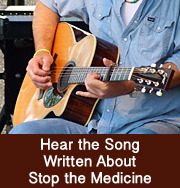 This inspired him to write a song about the story in Stop the Medicine. Thank you to Greg Stephens for this beautiful rendition of "Cindy's Story".